Residents of Jefferson’s Ferry, a life plan community in South Setauket, NY, recently welcomed Newsday’s Kidsday Editor Pat Mullooly and student reporters from Udall Road Middle School in West Islip, NY, for a workout and dialogue. The morning featured a Zumba class for the residents and students, who danced at their own paces through a variety of songs. 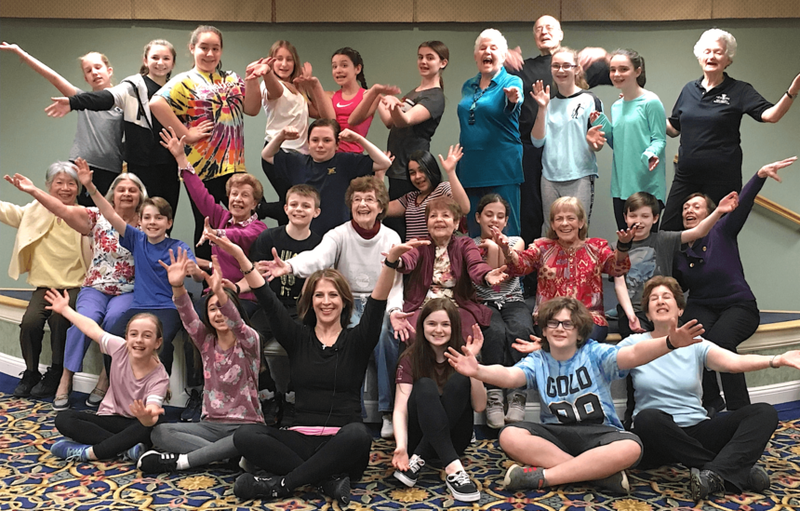 The class was led by Jefferson’s Ferry’s full-time fitness instructor, Lynda Schoettl, who also teaches classes in yoga, aqua aerobics, strength training, mat Pilates, balance and mobility to the residents. Afterward, everyone got better acquainted and shared their experiences. The Kidsday reporters will produce an article that will be published in Newsday’s Kidsday page next month. Click here to see the In Focus archive and read how to submit your photos for consideration.